One of Larry Atherfont and Larry Schreib's books. 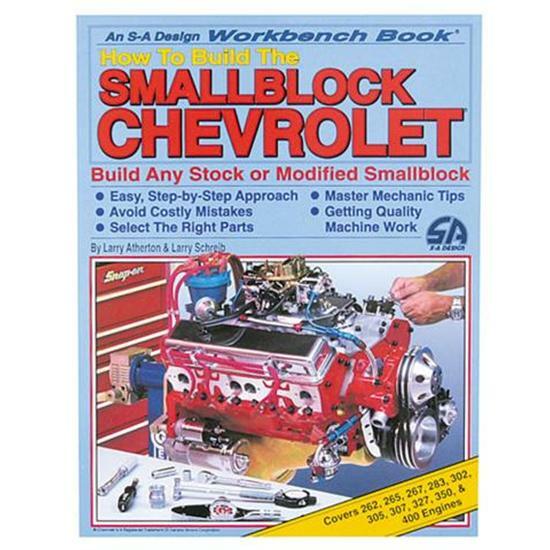 A quality step-by-step book that shows you how to build a street or racing block in your own garage. This engine building book includes hundreds of clear photos and easy-to-read text that explains every procedure a professional builder would use to assemble an engine. 143 pages. Unbox the perfect gift from Speedway Motors. In order to be competitive and win, it's important to find the right set up that works for you and your car. Here's some general reminders to remember during set up! What does McKenna wear at the track? Fire suits and helmets are a given, but under garments are not as well known. Find out why she chooses to wear 'underwear' and the importance of them. Lucas P. explains how to choose the correct part for a Ford 9" third member build in order to achieve a bulletproof rear. You will find specific recommended parts to use from Speedway Motors. Jess walks you through a t-shirt pillow DIY project. This is a great way to re use those favorite tees of yours instead of throwing them out. This creative Chevelle project explains the process of installing a battery box into a retro cooler with some hiccups along the way. Where there's a will, there's a way.